On July 14, 2016, Long Beach Animal Care Services illegally killed Thor, a healthy, adoptable dog with an adopter and a rescue organization willing to take him in. 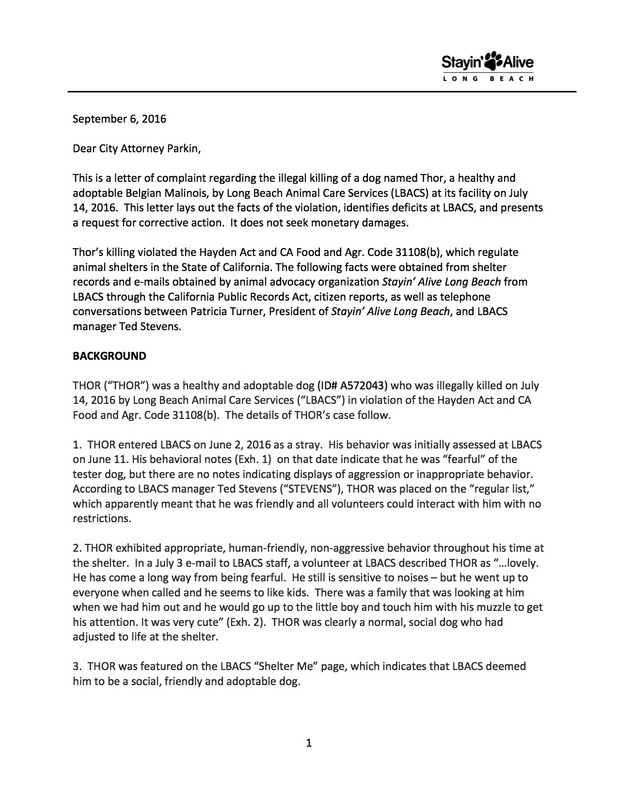 Read our first complaint reporting Thor's illegal killing to the Long Beach City Attorney here. Read the Long Beach City Attorney's Response to the first complaint here. Read our response to the Long Beach City Attorney's Response here. Update, 10/15/16: The City has not yet responded to this request made in our response. Read our second complaint reporting Thor's improper sedation to the Long Beach City Attorney here. Update, 10/15/16: The City has not yet responded to our second complaint.